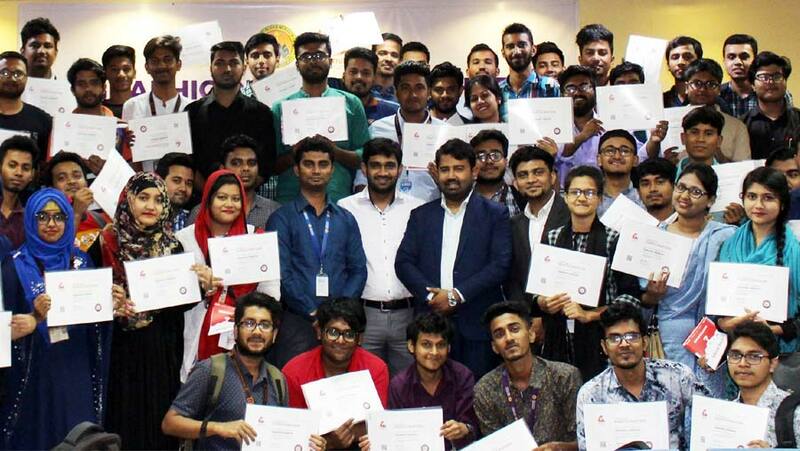 A workshop on Graphic Design organized by the Creative IT Institute in association with the Department of Career and Professional Development Services (CPDS) was held on Thursday (Mar 21) at the SEU Seminar Hall, Banani, Dhaka. During the workshop, Md. Nazib Rafi, Head of Business at Creative IT, discussed the prospect of a career in freelancing. Hence, Md. Shahidur Rahman, Head of Graphic Design at Creative IT, gave a brief overview of different tools of Graphic Design and online market place. A number of 130 SEU students were given participation certificate at the end of the seminar and 60 participants were selected for two-day long 'Basic Course on Graphic Design' through an assessment.